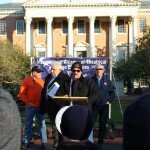 Local 24 IBEW is proud to take part in Union Night in Annapolis, when our members engage with Maryland’s elected officials and express support or opposition for legislation that is being considered by the General Assembly. 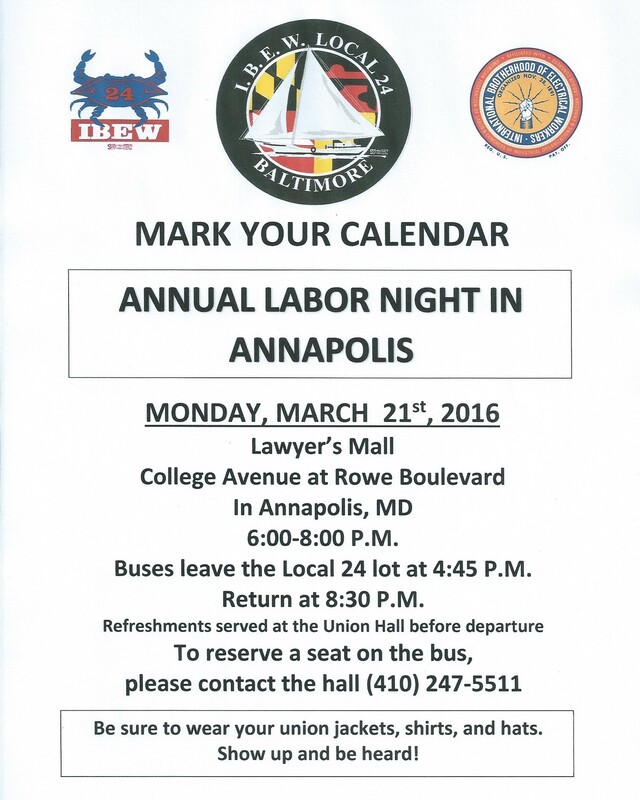 Union Night is an annual event organized by the Metro Baltimore Council AFL-CIO and the Baltimore/D.C. 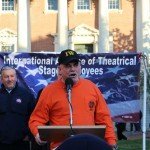 Building Trades Union. 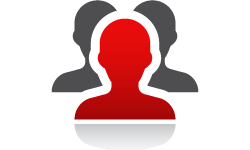 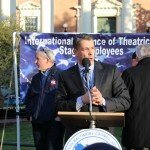 It brings together members of many unions, both public and private sector. 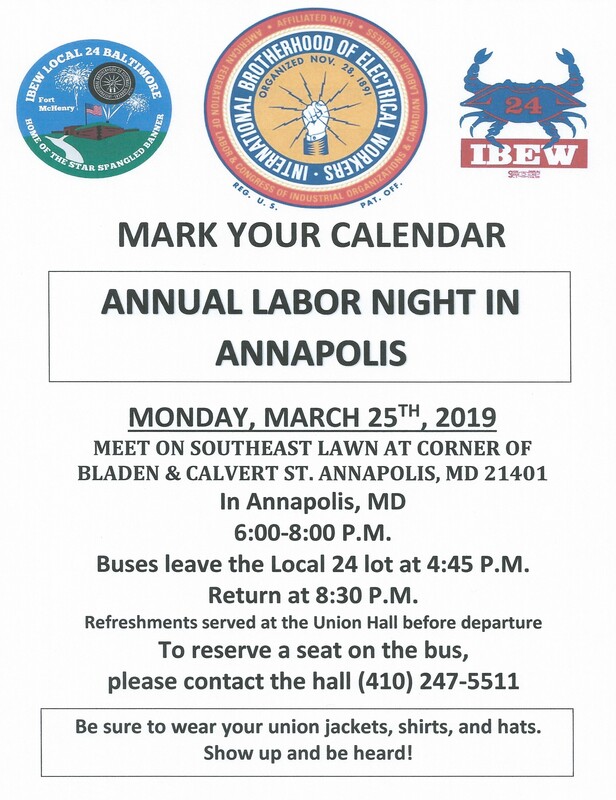 Check out the flyer below for more information. 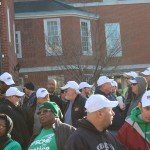 Local 24 provides buses for transport from the union hall to Lawyer’s Mall. 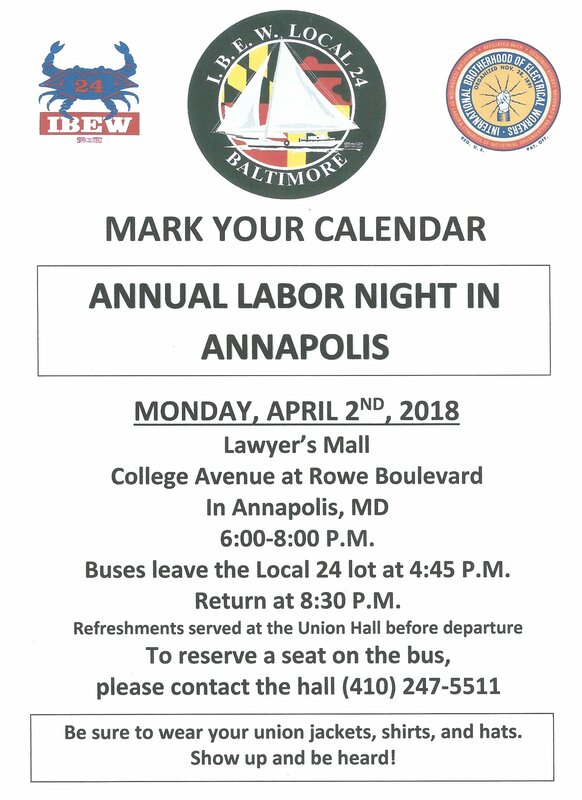 Mark your calendar and make plans to join your union brothers and sisters! 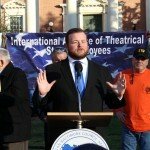 The following bills are being heard TOMORROW, Thursday February 15, 2018 in the House Environment & Transportation Committee. 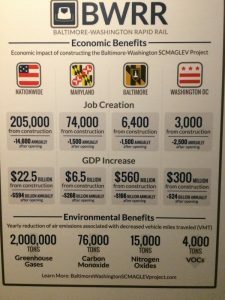 Please contact the committee members listed below and tell them that we support the Maglev project and the 74,000 jobs it will bring for our members and our community. 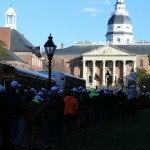 HB 637(SB1004) – Requiring the governing body of a county to hold a public hearing before the transfer of an asset of the county as part of the development of a high-speed transportation system; requiring notice of the public hearing to be delivered by first-class mail to homeowners and businesses within 500 feet of the asset; requiring a supermajority vote for approval by certain county and municipal entities of a transfer of an asset of a county as part of the development of a high-speed transportation system; etc. 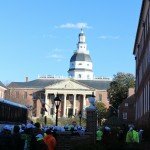 HB 638 (SB1005) – Requiring a county, before the transfer of an asset of the county as part of the development of a high-speed transportation system that passes through the county, if the asset is located in a municipality, to negotiate a certain written agreement with the municipality concerning the approval by and financial remuneration to the municipality. 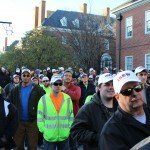 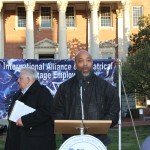 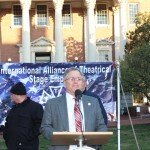 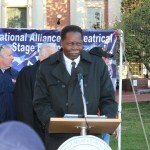 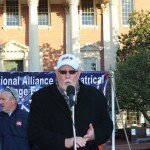 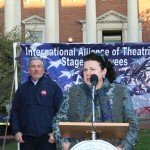 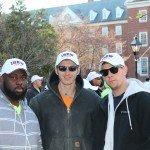 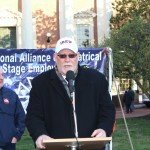 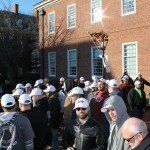 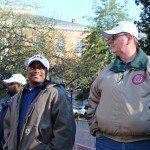 Almost 200 members of IBEW Local 24 turned out to represent our union and all Maryland working people at the annual Labor Night Rally in Annapolis on the evening of Monday, March 21, 2016. 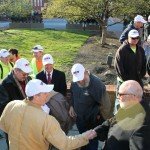 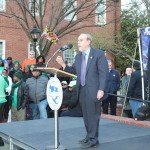 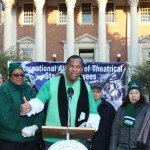 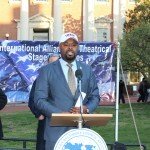 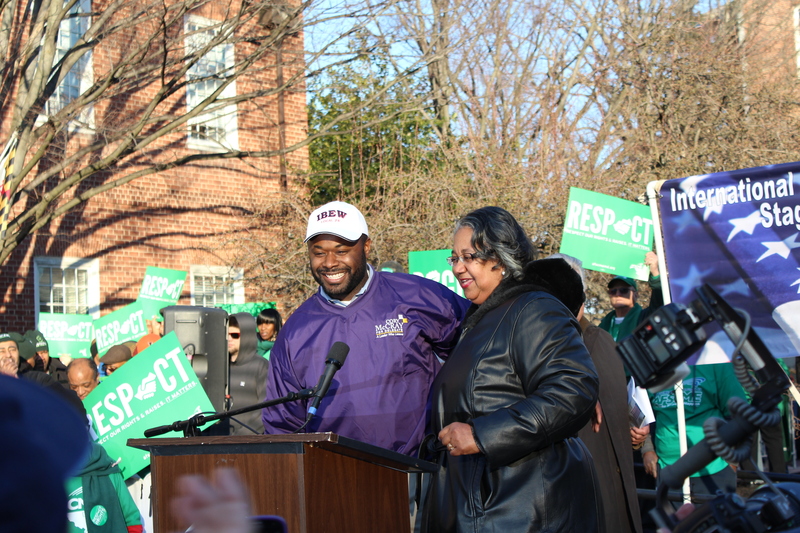 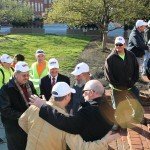 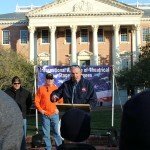 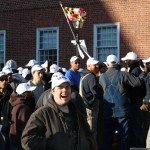 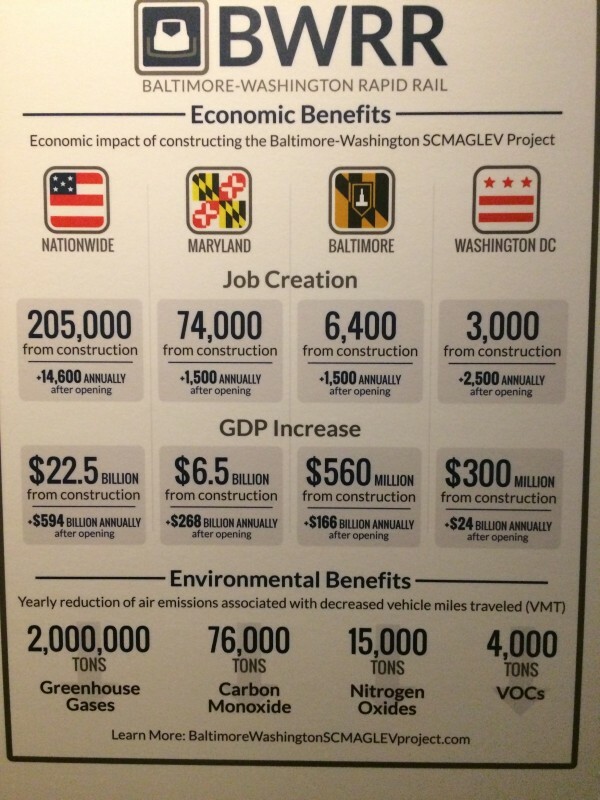 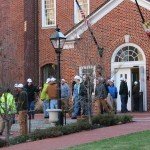 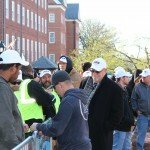 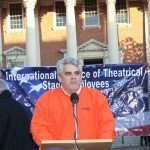 The rally, which is coordinated every year by the Metropolitan Baltimore Council AFL-CIO, took place before the MD General Assembly’s Monday night session, and included members of various Maryland unions representing the Building Trades and public and private workers. 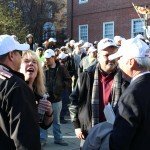 Union members come out to remind our elected officials that our priorities are good jobs, fair wages and safe working conditions. 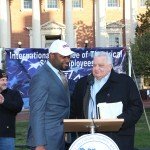 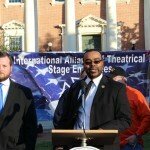 Speakers included Local 24 member and MD Delegate Cory McCray (District 45, Baltimore City) and MD Delegate Jimmy Tarlau (District 47A, PG County) who was a representative for the Communications Workers of America (CWA) prior to his election. 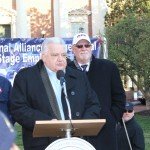 Local 24 Business Manager Gary Griffin, Metropolitan Council President Ernie Grecco and MD & DC AFL-CIO Secretary Treasurer Donna Edwards also spoke. 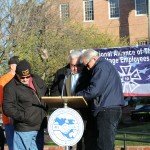 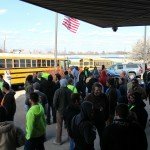 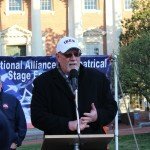 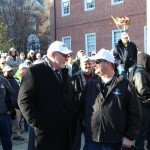 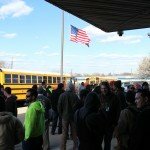 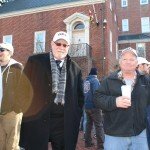 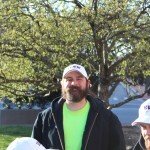 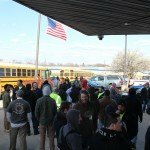 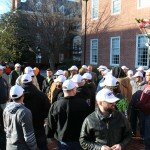 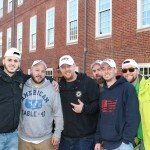 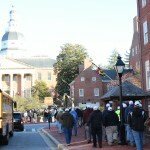 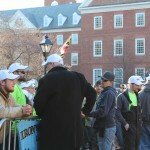 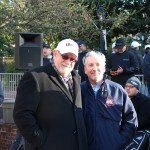 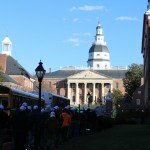 Local 24 members arrived by the busload for this year’s Labor Rally at the MD General Assembly in Annapolis. 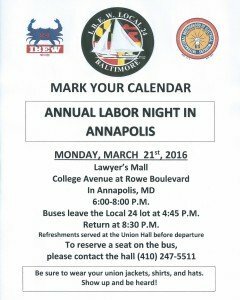 Local 24 members and leaders will be gathering in Annapolis on Monday night, March 21, 2016 for the annual Labor Night in Annapolis. 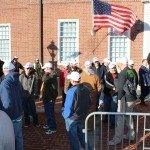 Planned by the Metropolitan Baltimore Central Labor Council, this event brings together union members from all sectors, including the Building Trades and public and private sector workers. 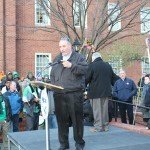 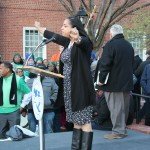 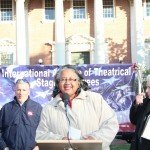 Make plans to join the Rally and strengthen the voice of Maryland’s working people. 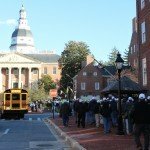 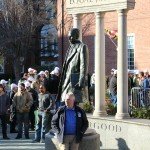 You can meet with other members at the Hall in Baltimore and ride into Annapolis on buses, or if it’s easier just meet the group at Lawyer’s Mall in Annapolis at 6PM. 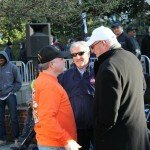 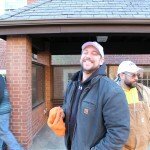 Wear your union jackets, shirts and hats to show that you are a proud member of Local 24!